Do you have a name? Do you have a nickname? Why do people call you that? Jesus Christ was called many things. And each of those names mean something. It describes something about Him. Even his name “Jesus” was chosen for a reason. We will look at 25 names of Jesus, 5 per week during the Advent Season. There are many more names, but this will get us started. Advent starts 4 Sundays before Christmas (November 27 this year), and we will carry the devotion one more week, up to the New Year. We will post each week of devotions on our Online Journal before the week begins. 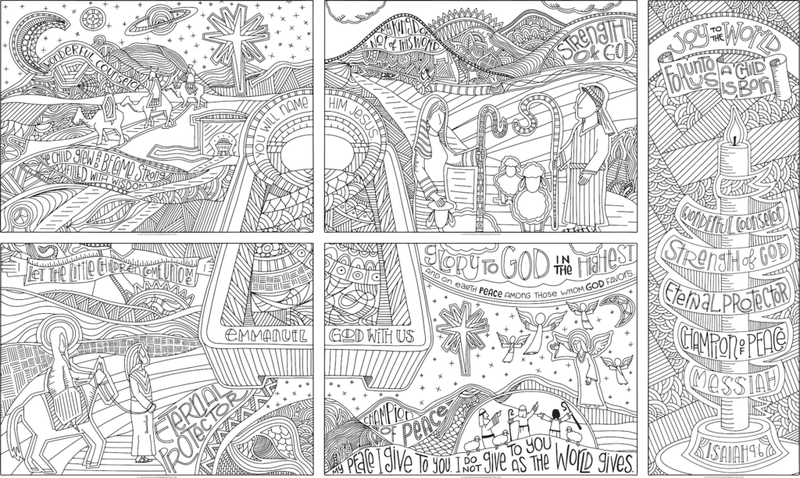 You can download the coloring pages and print off in case you need more copies or redo the ones you colored outside the lines.